At this month’s National People’s Congress (NPC), Chinese Premier Le Keqiang boasted that the central government would increase its poverty alleviation budget by 43.4 percent this year and lift at least 10 million people out of poverty by year’s end and another 55 million by 2020. 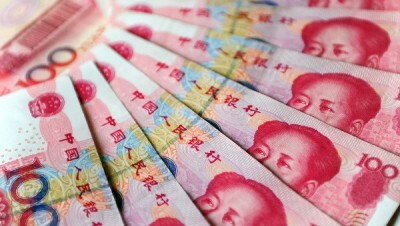 While the percentage was widely reported in the Chinese media, the actual monetary increase will be only 20.1 billion yuan ($US3 billion) out of total budget of 2.7 trillion yuan. Moreover, even if the programs are successful, it will raise the income of those affected above the austere official poverty line of 2,300 yuan per year or about one US dollar per day. Poverty alleviation is formally part of the Chinese Communist Party’s (CCP) grand vision of “building a moderately prosperous society” by 2020. In reality, it reflects fears within the Beijing regime that the accelerated pro-market economic restructuring announced at the NPC will lead to rising unemployment, a deepening divide between rich and poor and provoke resistance by workers and the rural poor. The pittance spent on poverty alleviation is in marked contrast to the money allocated in the national budget for “public security expenses” was 158.4 billion yuan, up 7 percent. The CCP is determined to ensure that its extensive police-state apparatus has the means to suppress social unrest. An estimated 70 million Chinese live below the official poverty line of 2,300 yuan per year (at 2010 prices). By comparison, the legal minimum wage is 2,310 yuan a month in Guangdong, one of the country richer provinces, and falls to 1,210 yuan a month in smaller towns and more impoverished areas. Beijing claims to have largely eradicated urban poverty in large part because of a government subsidy paid to urban dwellers to lift incomes to a minimum level of 4,476 yuan per year. A survey of 140,000 households by the China Household Income Project found that only 1.4 percent of the urban population was below the minimum level. The benchmark poverty level is set at just $US2 a day compared to the official minimum wage levels on which workers struggle to survive. In many cases, workers are paid below the minimum or paid only after lengthy delays or not at all. Hundreds of millions of people live on very low incomes. According to the World Bank, the number of people in China living on $1.90 per day or less has decreased from 194.1 million in 2008 to 149.6 million in 2010. Those surviving on $3.10 per day or less decreased from 436.6 million in 2008 to 364.4 million in 2010. China’s total population is nearing 1.4 billion. Social inequality is increasing at a far greater pace. China now has one of the most unequal wealth distributions of any large economy on the planet. The latest World Bank figures rate China at 60th out of 157 countries, ranked from most unequal to least. On this ranking, China is more unequal than the United States (63), Japan (122) and Germany (135). China has a Gini coefficient of 42.1—a coefficient of 0 signifies complete equality while 100 indicates complete inequality. Other research by Chinese academics published in 2014 puts China’s coefficient as high as 58.8. In the mid-1970s, China ranked as one of the most equal countries in the world with a Gini score below 30. World Bank figures from 2010 show that 30 percent of income goes to the top 10 percent of the population while 47.1 percent goes to the top 20 percent. The bottom 20 percent received 4.7 percent of national income while the bottom 10 percent only received 1.7 percent. According to the latest 2016 Hurun Global Rich List, released in February, mainland China now has 470 US dollar billionaires. It also has four of the top ten cities by “billionaire residents” with Beijing, Shanghai, Shenzhen and Hangzhou and Beijing now having more billionaires than New York City. The number of Chinese billionaires has grown by 80 percent since 2013 even as economic growth slowed markedly. This super-rich layer is integrated with the top levels of the state apparatus. According to the 2015 Hurun Rich List, 211 Chinese billionaires were given political appointments: 114 as delegates to this year’s National People’s Congress, 79 as members of the Chinese People’s Political Consultative Committee (CPPCC), nine to the standing committee of the CPPCC and nine became members of the All-China Federation of Industry and Commerce. China’s four richest people on the Hurun Rich List are Wang Jianlin and family $26 billion, Li Ka-shing $25 billion, Lee Shau Kee $24 billion, Jack Ma Yun and family $21 billion. Their combined wealth outstrips the total amount that the government plans to spend on poverty alleviation for tens of millions of people. These so-called poverty alleviation plans come as preparations are being made for a massive assault on the working class. Up to six million jobs are slated to be destroyed over the next six years as Beijing eliminates huge overcapacities in basic industries, such as coal, steel, cement and plate glass causing severe social dislocation. Far from eliminating poverty, the Chinese regime is creating an immense social gulf between the ultra-rich oligarchy whose interests it represents and the vast majority of the population.